Sometimes you’re feeling fancy and just want to broil up some lobster tails (or sometimes you find out the lobster tails at your local grocery store are on sale so you rush to get a deal;-)). Either way, lobster is delicious and besides the whole cutting up and peeling away the meat, they are fairly easy to make. 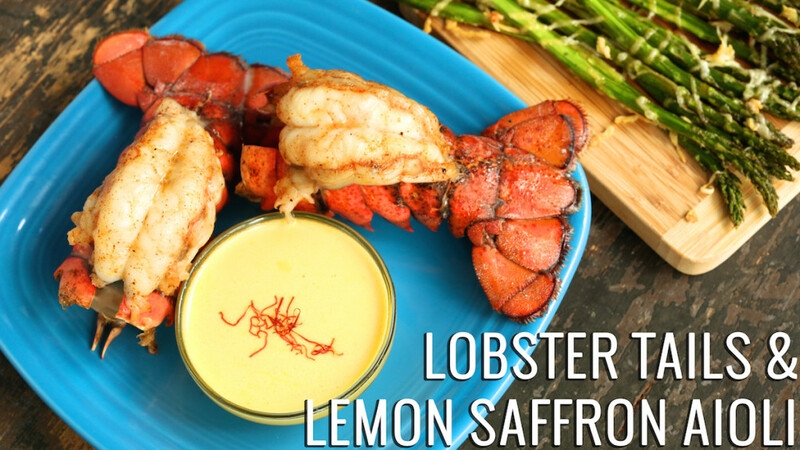 I think the thing that set these guys over the top was the lemon saffron aioli. 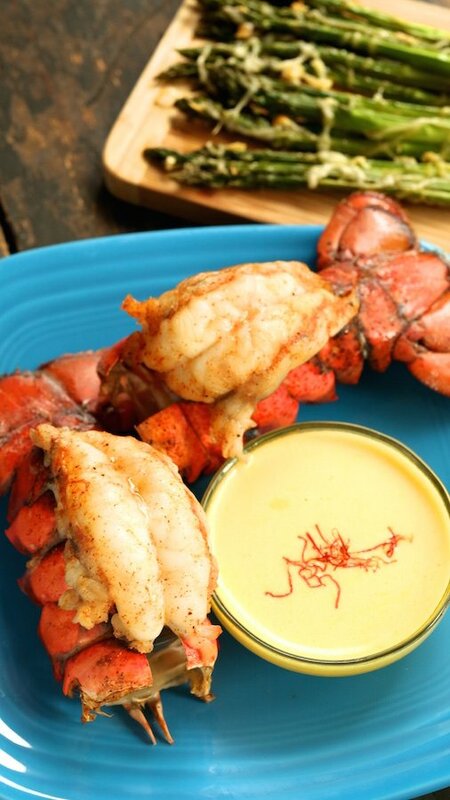 It was so creamy and flavorful, making the lobster pop. I highly recommend it. This is one of those meals that is perfect for two and isn’t heavy so you feel really good after eating it! Enjoy! Cut down the center of each lobster tail from top to tail. Pull the meat away from the shell by slowly working your fingers between the two until the meat comes loose. De-vein. Once the meat is pulled away, place it back on top of the shell and let the flaps of lobster meat fall open. 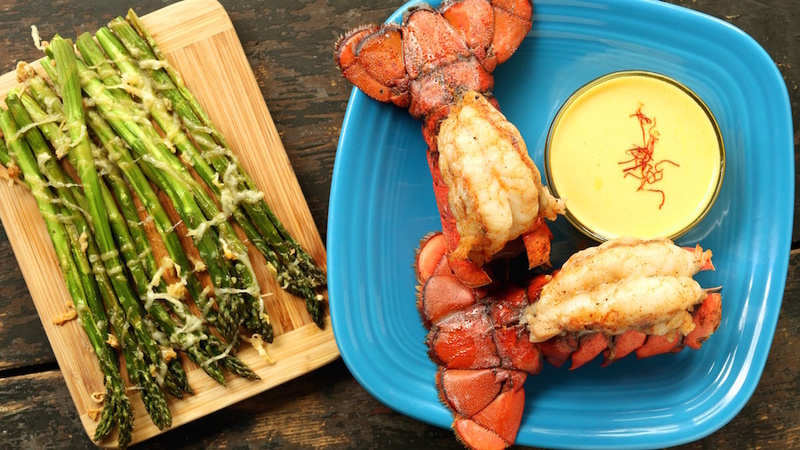 Place the lobster tails on a cooling rack and set on top of a pan. Rub olive oil on the meat, then the paprika, salt and pepper. Place in the oven for 15 min. Remove from oven, rub down with butter until melted. Set oven to broil and put back in for about 2 min. Place saffron threads in the hot water and let steep for 5min. In a food processor or blender, combine the saffron threads and water with the egg yolks, garlic, lemon juice, salt, and pepper. Mix on high until blended. With the food processor still running, slowly add in the olive oil. Blend until aioli is thickened.